Something that most phentermine users will discuss is combining the phentermine weight loss drug with caffeinated beverages like coffee. Is this something that your doctor talked to you about when prescribing the drug? Do you know if you can drink coffee while taking phentermine? This combination is one that isn’t talked about enough, but it always helps to be informed about how your weight loss medication interacts with the common stimulant. Given that phentermine itself has stimulant properties, it’s advised that you avoid drinking coffee while taking it. Today we’ll be looking at phentermine and coffee, tea, energy drinks, and soda – and all the other things that you could drink instead. How Much Caffeine Does Phentermine 37.5 Contain? Most people know that phentermine shouldn’t be combined with coffee, so it’s only natural to think about how much caffeine there is in Phentermine 37.5. The truth is that it doesn’t contain any caffeine at all! So, how does it give you that burst of energy? That’s because of the active ingredient in phentermine; phentermine hydro-chloride (phentermine HCL). Phentermine HCL is a sympathomimetic substance with a chemical structure similar to that of amphetamines. It stimulates the central nervous system to produce an “upper” effect comparable to the “fight or flight” response. The prolonged simulated stress of phentermine is the reason that you are less hungry and have more energy while taking phentermine. It’s also the reason that doctors discourage drinking caffeinated beverages while taking phentermine. Caffeine is a less potent but still effective stimulant than phentermine. It can be found in food, drinks, and supplements and is largely left unregulated. Coffee energy is similar to phentermine energy in that it is produced by the stimulation of the central nervous system. Given that your brain already gets lots of stimulation from phentermine, drinking caffeine as normal while taking the weight loss drug can generate an excess of energy, effectively overloading your brain and giving you more energy than you know what to do with. Did you know over half (54%) of all American adults drink coffee each day? Or that the average amount consumed was over 3 cups a day? Most people (65%) have their coffee with breakfast, while under a third will drink it as a between-meal snack. These statistics come courtesy of the Harvard School of Public Health and they explain why it can be so difficult for someone to give up coffee when taking medication. Given the stimulating effects of the substances and the potentially negative interactions when they are taken together, doctors will generally recommend that you avoid drinking coffee when taking phentermine. Both caffeine and phentermine are CNS stimulants, meaning they increase blood pressure and heart rate, and can induce insomnia. Doctors recommend you avoid combining the two substances because of the increased potential of serious side effects. With that said, many phentermine patients report being able to tolerate low doses of caffeine – around one cup of coffee – without having any noticeable reactions. If you can’t imagine giving up your morning cup of coffee, talk to your doctor before taking phentermine with coffee (or other caffeinated substances). They are in a position to best assess your potential for drinking coffee while taking phentermine and can establish an individualized treatment plan with you. This advice also applies to combine a specific brand of phentermine with coffee, such as Adipex and coffee or Duromine and coffee. Tea is one of the most popular alternatives to coffee, especially when trying to avoid coffee and cut down on caffeine. Fruit and herbal teas – including the most popular flavors such as mint, ginger, chamomile, and cinnamon – have zero caffeine content. Rooibos tea also contains no caffeine. These drinks are flavored by the infusion of herbs in hot water, so they are also free from calories. Given all of the great properties these teas possess, fruit, herbal, and rooibos teas are a good choice when you want a hot drink without caffeine. However, not every tea is created equal and free from caffeine. Black tea, white tea, green tea, and oolong tea are all made from the Camellia Sinesis plant and contain caffeine. They have around 25-30 mg of caffeine each. This is still less than the 60-165 mg dose one could expect from 8 oz of coffee, but it’s still a significant amount. Be sure to keep an eye on your caffeine consumption if you’re switching from phentermine and coffee to phentermine and tea! Don’t have a problem with phentermine and coffee but are still fueling your Diet Coke habit? We’re sorry to report that soda also contains caffeine. An eight ounce serving of Cola has between 24 and 46 mg of caffeine. Interestingly enough, Diet Coke actually contains more caffeine than classic Coke (46 mg per can compared to 34 mg per can) and caffeine content can vary between countries. Clear sodas such as root beer are naturally free from caffeine though. If you aren’t sure about the caffeine content in your drinks, be sure to check the label and see for yourself what’s in there. With that said, if you are reducing caffeine consumption because of phentermine energy, then you may want to stick with caffeine-free options. Popular drinks like Dr. Pepper and Cola are now available in caffeine-free varieties, so there’s no need to give up your favorite soda entirely. 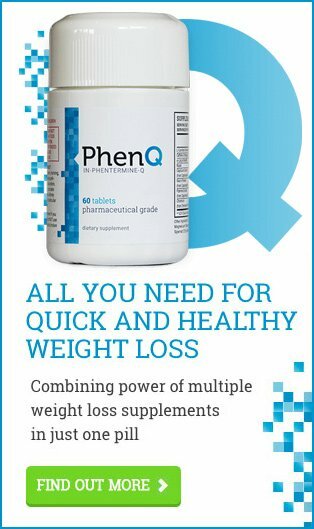 Even better, take using phentermine as a chance to build healthy habits and make the switch. Wean yourself off of soda and start drinking water and unsweetened tea. Energy drinks should be avoided entirely when taking phentermine. These highly-caffeinated energizing drinks are the absolute last thing that you need when your body is already going into overdrive from all of the phentermine energy. The caffeine content in energy drinks can vary between brands, but the typical 16 oz serving has 160 mg of caffeine. That includes the most popular energy drinks such as Red Bull (with 80 mg per 8oz), Monster, Rockstar, AMP, and NOS. The actual caffeine serving can vary from between 50 mg (Bai Antioxidant Infusion) to 375 mg (Bang Energy). This means that some energy drinks have more caffeine in them than a cup of coffee, and they should be avoided entirely while taking phentermine. On top of this, there is the fact that energy drinks commonly contain a lot of sugar. A can of Rockstar has 62 g of sugar per 16 oz can for example, and Red Bull has 27 g per 8.3 oz serving. Much like soda, you can find the sugar-free version of energy drinks, but the experts agree that water or unsweetened tea is a better and healthier choice. What Can you Drink With Phentermine? Water is the cheapest, most nutritious, and most convenient drink when using phentermine (not to mention in general!) It is naturally hydrating and free from calories, so drinking water is a healthy habit that boosts your weight loss efforts and makes it easier to maintain any weight loss. It is also widely available, often for free, so there are no excuses to not be drinking water. Try to get at least eight glasses of water a day (or another caffeine-and-calorie-free beverage) to stay hydrated when taking phentermine. As mentioned before, there are some naturally caffeine-free varieties of tea you can enjoy. Some of the flavors of tea that are free from caffeine include apple cinnamon, cinnamon, chamomile, cranberry, lemon, ginger, lemon ginger, lemongrass, orange, mint, peach, rooibos, and vanilla. Tea boxes are often marked with the caffeine content so you can double check how much is in your favorite tea before buying it. Most coffee chains – including Starbucks – will offer caffeine-free herbal tea for those who like to get their drinks on the go. Take the healthiness up a notch by having your tea straight – without any milk or sugar. If you do want to sweeten your tea, then be sure to do so in moderation. Tea and coffee companies provide decaffeinated varieties of their drinks. They still have an average of up to 5 mg of caffeine per cup, so they aren’t totally caffeine free. They still have far less caffeine than a regular cup though. If you enjoy your daily cup of tea or coffee, then try the decaffeinated version while using phentermine. Even then, you should still limit yourself to one or two cups a day as even a small amount of caffeine can quickly add up. If you regularly get your coffee on the go, then keep in mind commercial decaf coffee often contains more caffeine. A 12-ounce decaf Pike’s Place Roast from Starbucks packs in a massive 20 mg of caffeine. It’s anything but decaf at that point! Dunkin Donuts has their own 10-ounce decaf coffee that has just 7 mg of caffeine, as well as a decaf latte with under 5 mg. If you really want a latte then we recommend heading out to Dunkin Donuts. Just make sure that you order yours with skim milk and no flavorings or sweeteners to avoid all the extra calories from syrup and fatty milk. An infusion is similar to tea, but it is steeped for longer and uses more of the herb or plant. Infusions are commonly available in berries, lemon, ginger, and a variety of herbs. If you’re after a refreshing flavored drink you can enjoy at home, then try infusing a pitcher of water right in your fridge. Just fill the pitcher with water, add the flavorings you want, and let it sit overnight. The result is delicious calorie-free water waiting for you in the morning. The most common cold infusions are strawberry mint, citrus mint, cucumber mint, and watermelon basil. When it comes to warm infusions, you can’t go wrong with ginger. Dairy gets something of a bad rep when it comes to weight loss, and regular adults – in particular women – aren’t getting nearly enough of the white stuff. Recent surveys suggest that almost every American adult (99%) doesn’t get the recommend 2.5-3 servings a day of milk. Milk is a great source of calcium, protein, and vitamins A and D. It’s also very refreshing and hydrating. If you are vegan or lactose intolerant, then fortified plant milk such as almond milk and soy milk can replace dairy and give you all the essential nutrients you need. Having a few glasses of plant or skim milk a day is a great choice for phentermine weight loss, not to mention your overall health. Sugar-free drinks can be a good substitute for those who don’t like the taste of tea and regular water. If you want to have something chilled, then a single-serving powder packet can take that plain water and turn it into a flavored juice drink with five calories in about as many seconds. Lots of dieters enjoy these low-calorie flavored drinks and are impressed by the variety of flavors on offer. When taking phentermine, be sure to choose something traditional like a Crystal Light. Certain powdered juice products – like Sunrise and Crystal Light Energy – have varying caffeine levels. Be sure to read the label to be sure. If you want something warmer, then consider “no added sugar” varieties of hot chocolate. These hot chocolate drinks for dieters have fewer calories and leave you feeling spoiled without having to break your diet. Hot chocolate contains a small amount of caffeine (around 5 mg) because of the natural caffeine content of sugar. As such, sugar-free hot chocolate is something that should be considered a special treat rather than an everyday drink. As you can tell, even though it’s not good to combine phentermine and caffeine, there are still lots of different hot and cold drinks available while taking phentermine weight loss medication. Last updated: January 25th, 2019. Bookmark the permalink.